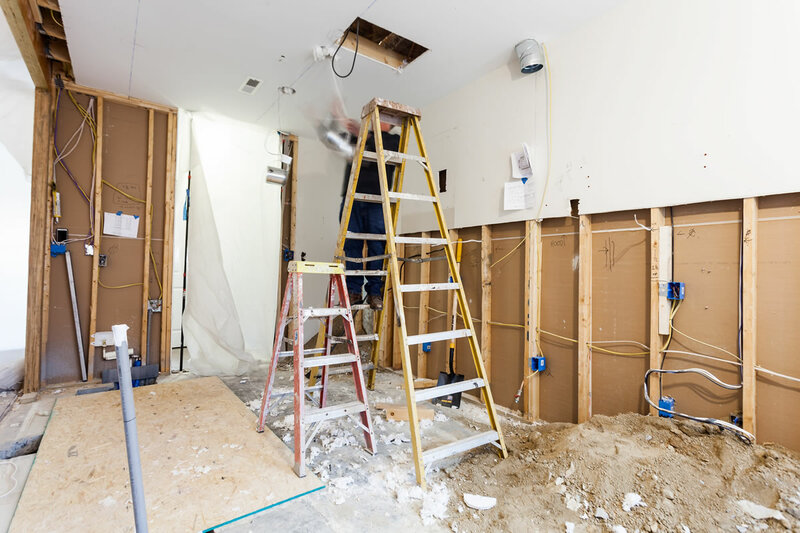 Over more than 30 years of construction and remodeling projects, we’ve developed a process that allows us to complete projects on time and on budget, with a minimum of disruption to your home. 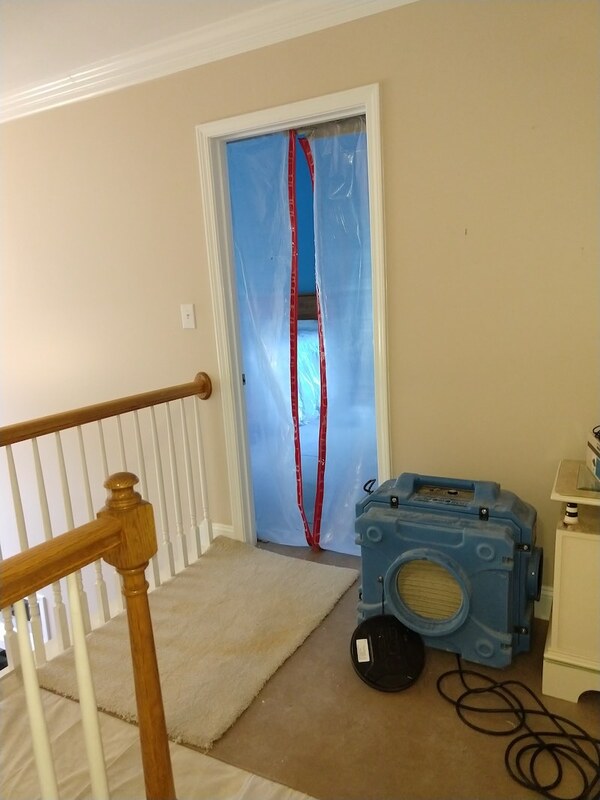 No one likes dust, noise and construction debris, so we take extra care with every project to protect your home and treat it like our own (and we take really good care of our homes)! Here are a few examples of how we protect homes and make sure the construction zone doesn’t migrate to the rest of the house. Click each image for a larger version. 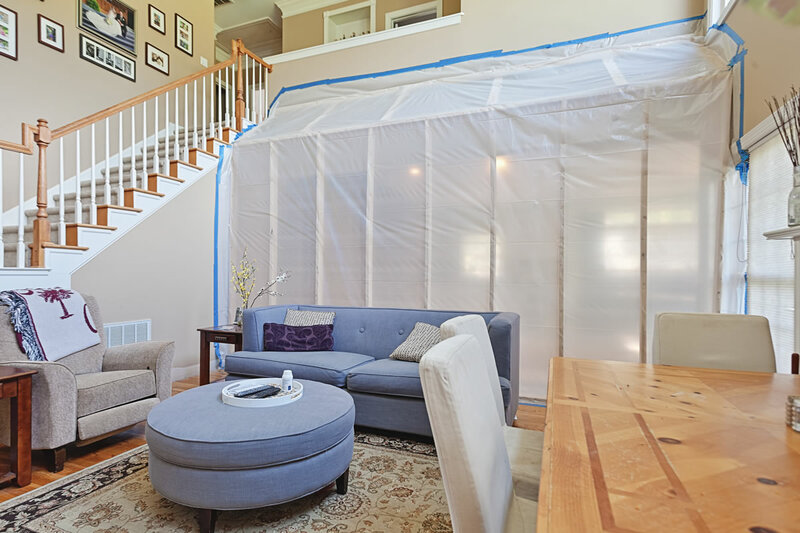 For this project we built a temporary wall and ceiling beyond the work area, and completely draped and taped the space so that dust cannot reach the living area. 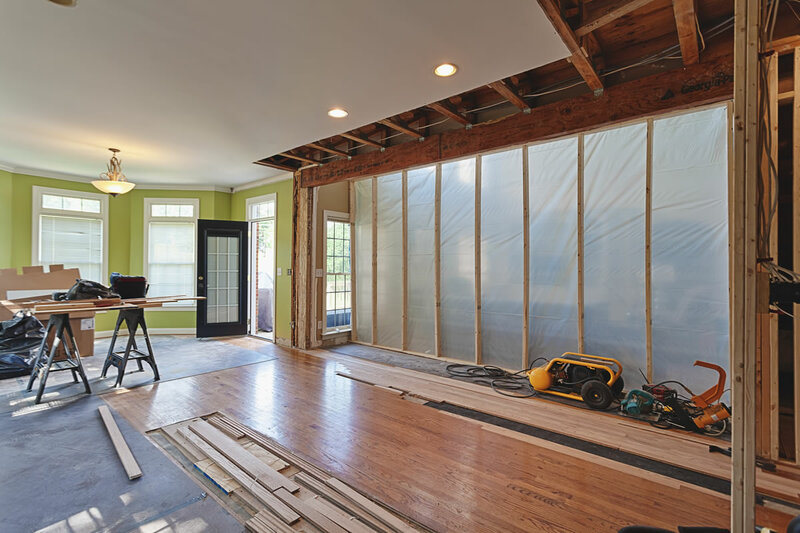 Zipped dust doors and positive ventilation keeps drywall and other dust in the construction area. Daily vacuuming and floor coverings help ensure dirt doesn’t get tracked through the home. When the dirt really develops we may clean multiple times per day and add extra floor covers, door mats in transition areas and double-up on dust barriers. Keeping tools and materials neat and organized not only makes for a neater work area, it also helps our crews be as efficient as possible. We don’t waste time uncoiling cords or looking for missing items.